The New York Times published an op-ed by a member of their Editorial Board on Sunday, September 8, 2013, entitled, “Hey, You Calling Me an Invasive Species?” It is a spirited defense of non-native plants. Surely this is an indication that our challenge of the native plant movement is now mainstream. We will touch on a few of the op-ed’s main themes, but we urge you to read the op-ed here. 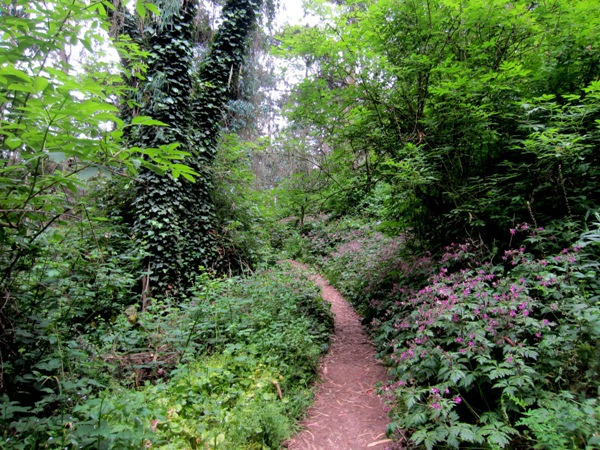 Mount Sutro Forest is threatened with destruction because it is not native. Courtesy Save Sutro Forest. The absurdity of nativism is becoming more and more evident. Our objections to its destructive consequences will eventually be heard. It’s just a matter of time. I wish all the “environmentalists” who recommend killing trees and other plants and animals, destroying lakes, etc. because they are not native, would read this blog. Non-native humans, start with your own yards and selves….